The New Year means new resolutions and a new approach to life and business. Now is the perfect time for some life-changing magic, and it’s time to start putting your business plans into action. Each year, businesses take the time to measure progress and assess the specific steps they need to take in the coming year to ensure that they stay on track. As we start 2019, many businesses have already put countless hours into developing their business plan for the upcoming year. 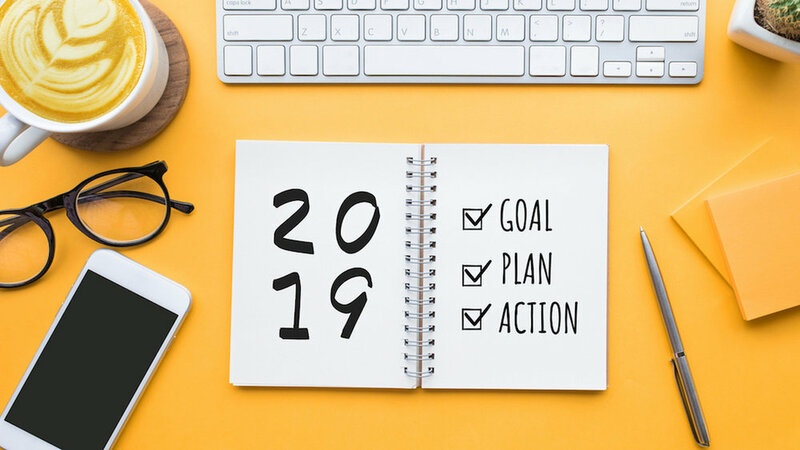 Whether your business plans include a complete overhaul of strategies and approaches, or whether it’s improving initiatives from previous years, these tips will help you remain focused and energized about your 2019 business goals. Here are some of the ways you can make sure that this time next year, you can proudly say you accomplished your professional goals for 2019. 1. Never underestimate the power of a to-do list. With a simple, focused to-do list like this one, you’re on the path to developing a profitable website and a slew of new visitors. 2. Set deadlines…and stick to them! Setting deadlines is essential for achieving your business goals because it helps you measure your time and track your progress. Without deadlines, people tend to rush their projects and get unnecessarily overwhelmed and stressed. However, deadlines are useless if you don’t stick to them. Setting goals is a perfect time to practice breaking down your goals into smaller steps. Do you project one step at a time, so you can finish by your deadline and continue moving forward instead of playing catch up. 3. Talk about your goals. Communicating your ambitions can help you increase your chances for success. When you discuss your goals with a mentor or your team, they can give you the support you need to keep you accountable and make sure you accomplish your objectives. Also, your employees need to know your expectations and goals for the company, so they can work more efficiently and help the company continue to grow in new and exciting ways. Change is inevitable in business, which is why reassessments are essential. Re-evaluating your goals will help you see which efforts are working and which ones are holding you back. Because objectives can change, it’s wise to reassess your goals throughout the year so you can establish new deadlines or make adjustments where needed. For example, maybe your social media presence is growing faster than expected and you need to put more time and effort into your social media marketing plan. Or perhaps your email campaigns aren’t as effective as you initially projected, and it’s time to try a different strategy. Procrastination is the enemy of success and growth. When you establish your goals for this year, it’s crucial to start right away. Begin thinking about what you want and how you’re going to get it. Don’t push it off, or it may never get done. 6. Stick to “SMART” goals. As you work on your 2019 business plan, try setting SMART goals: Specific, Measurable, Achievable, Relevant and Time-bound. By creating and sticking to SMART goals, you can avoid changing objectives, empty promises, and false hope. This strategy keeps you focused, accountable, and fully informed every step of the way. Now that you know how to reach your business goals for 2019, the only thing left to do is to get started. Transforming your vision into reality requires a realistic approach and a well-crafted plan toward success. Think about where your business is going and be flexible about your expectations. While setting concrete performance goals works, you still need to support those goals with a realistic plan to achieve them. May this new year bring you and your business success, growth, and happiness!